This is a mixture of all the vegetables we love most and a base with some peanut butter. 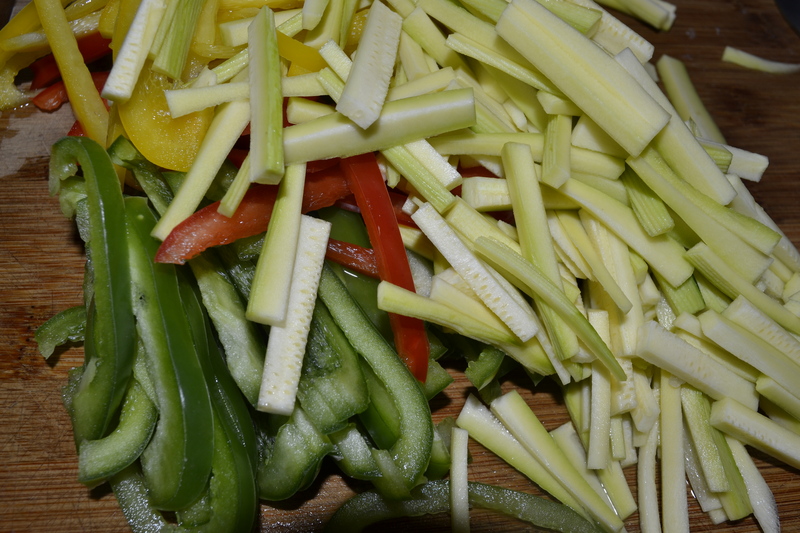 Taste and see what you think, usually it is a little of this or that and what veggies we have. Hope you enjoy. 3 Carrots cut Julienne style or however you like to cut! In a large pan put some Olive Oil, add onions, garlic and chicken, cook stirring frequently, cover to cook chicken. Add carrots and peppers and cook for a few minutes. Make sure chicken is cooked until done. When these are crisp tender add asparagus, broccoli, peas and zucchini. Cook until desired tenderness. I put them last because they can get mushy and we don’t want that! Add sauce and continue cooking. The cooking time really depends on how tender or how crisp you like everything! My kids are love this and we make it more well done. Unfortunately my end picture got deleted! We serve this with white rice. But, the kids love this and it’s gone that day! Again for seasoned cooks, taste and see what you want to add more or less of. This is what works for us more or less! 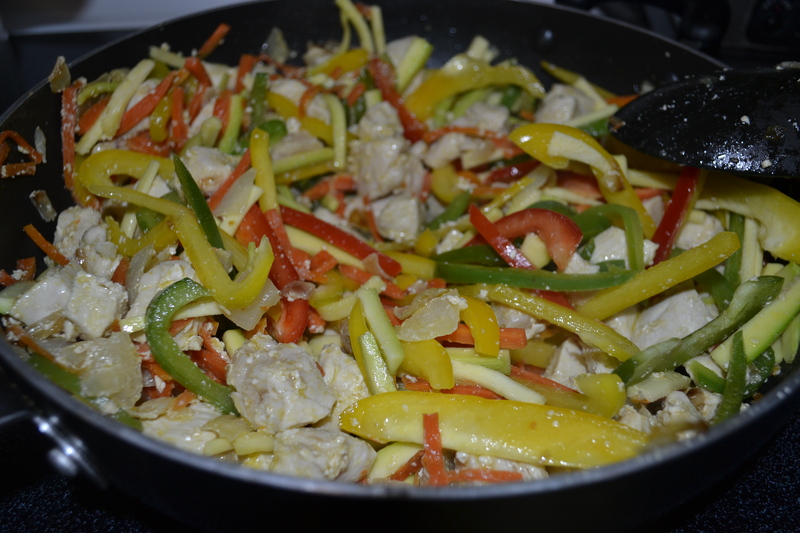 This is such a great recipe with so many veggies and chicken!